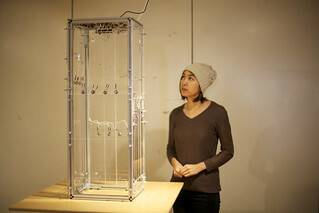 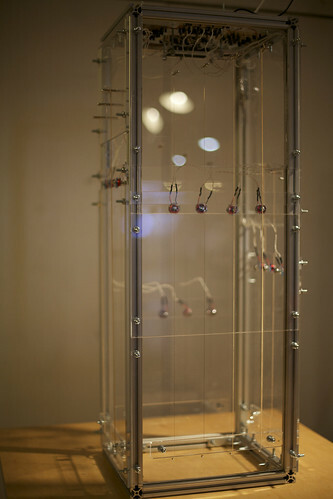 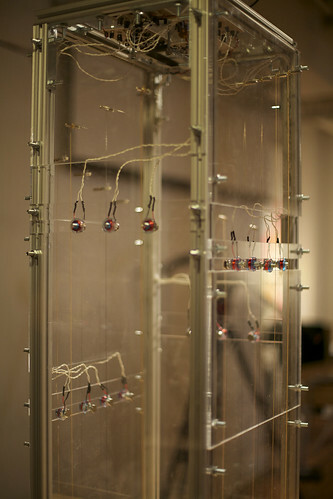 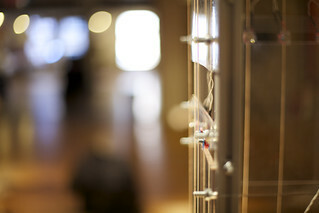 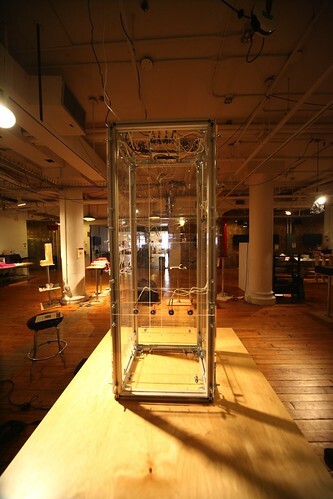 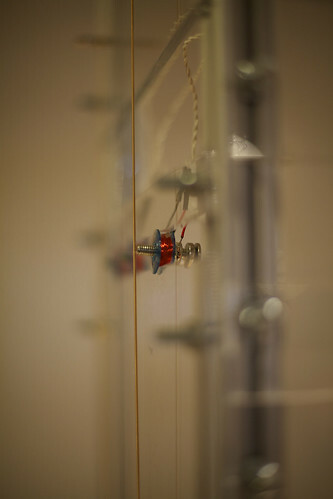 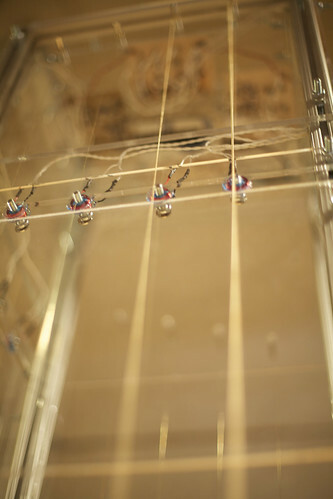 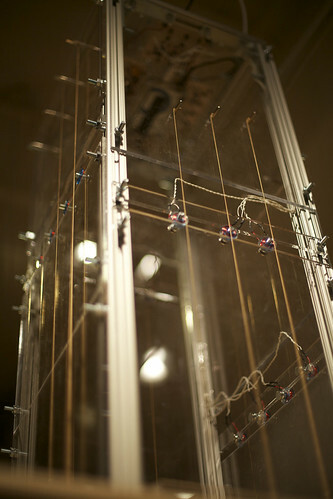 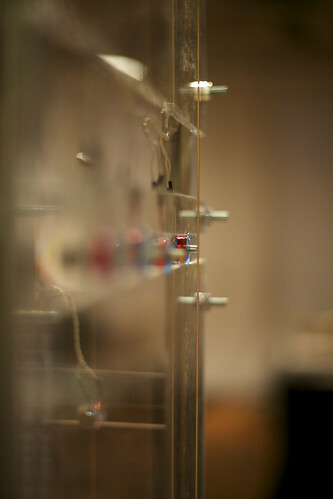 is a tower of musical instrument strings that are played by electromagnetic fields. 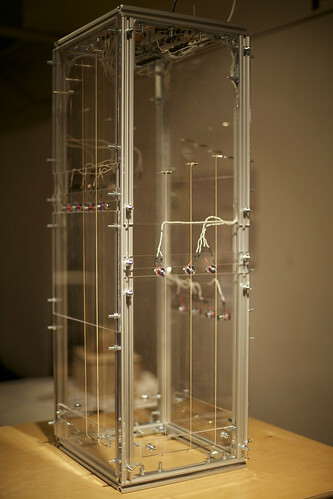 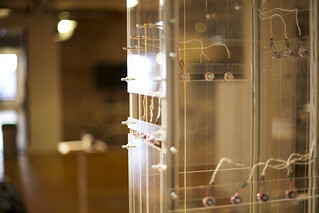 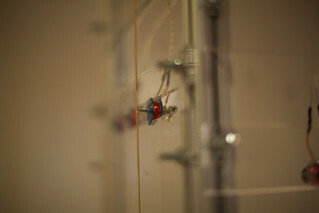 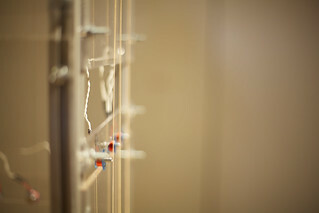 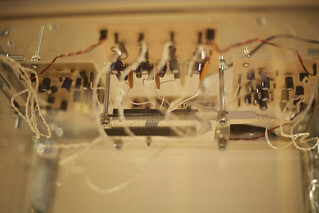 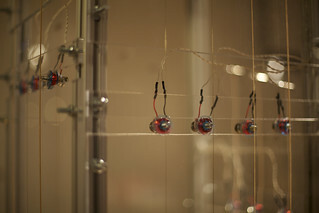 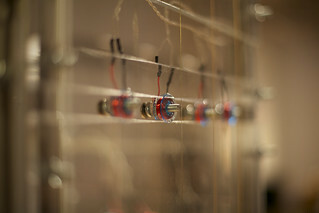 Continuously generative, patterns emerge and fade away as electromagnets trigger various strings. 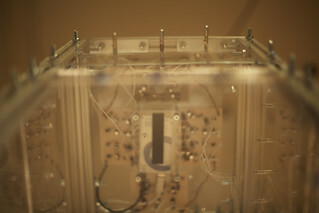 Photos are below, detailed information can be found on the project's blog.